OPENING soon? Wren Street Community School in Holborn, the secondary comprehensive of choice for families living south of Euston Road. Great idea, say parents in the south of the borough – but only if politicians at the Town Hall stop making excuses, take the idea seriously and open the school they desperately need. Education chiefs have insisted for two years that, while there is demand for school places in the area, there is no suitable site south of Euston Road. They have repeatedly blamed high property prices for the failure to buy land for a new school – and instead have embarked on plans to open one in Swiss Cottage. But claims that the ruling Conservative and Liberal Democrat coalition made an “exhaustive” search of sites in Holborn, Bloomsbury and Covent Garden were unravelling this week when plans drawn up by architecture students revealed that a small school could be built on the site of an overlooked row of lock-ups. 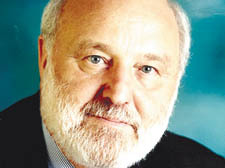 The suggestion of transforming the workshops site in Wren Street – already owned by the council – was discussed at a meeting at the Town Hall organised by Labour MP Frank Dobson on Thursday night. The proposal was put forward by Where Is My School? parents’ campaign, which has worked with keen university students on how a new school on the site might operate. While the proposals might only have been devised by architects in training, they are so in-depth that the Department for Children, Schools and Families is understood to have received a copy of the potential designs. Sources claim officials are becoming more open to the idea that government guidance about school sizes in tight urban areas should be more flexible to help address local problems. Secretary of State Ed Balls and his colleague Lord Andrew Adonist have been regularly briefed about the situation south of Euston Road. Camden’s Conservative education chief Councillor Andrew Mennear said he was surprised the site had not been suggested by his own department before and would be asking his officials why they missed it. “We did have an extensive search and the honest answer is I don’t know how this happened,” he said. The Where Is My School? campaign has been relentless, despite Camden’s plans to use funds from the government’s Building Schools for the Future programme to open an academy in Adelaide Road, in the north west of the borough. Suggested sites in the south of Camden have previously included the Eastman Dental Hospital in Gray’s Inn Road and former Post Office buildings in Mount Pleasant, right on the Islington border in Clerkenwell. But every location has been pooh-poohed by the Town Hall on grounds of costs or the need to meet government timetables. Wren Street, however, is attractive because businesses on the site are due to see their leases expire over the next five years, potentially freeing up prime land in the middle of the target area. Education chiefs have already had a pledge from central government that if Camden can find a site, it will stump up enough money to get the school operating. Yet some critics of the council’s school-building project believe the value of the Wren Street site will ultimately be too tempting for the council, which would simply sell it off when the units are eventually cleared. There are private fears that Camden would rather take the money than use it for a new school. Cllr Mennear said: “That isn’t my line and I wouldn’t like to see that site sold off when there is a chance things might change.” He said the grounds would not be big enough for a full six-forms-of-entry secondary school and progress was only likely to be made if the government changed its policies on school sizes. But his pledge to help the south of the borough will now be put to its severest test by the Wren Street proposals.